Poland has now completed the ratification of its membership of ESO and becomes the organisation’s fifteenth Member State. ESO is proud to welcome Poland and looks forward to the contributions of the nation’s astronomers and industry. 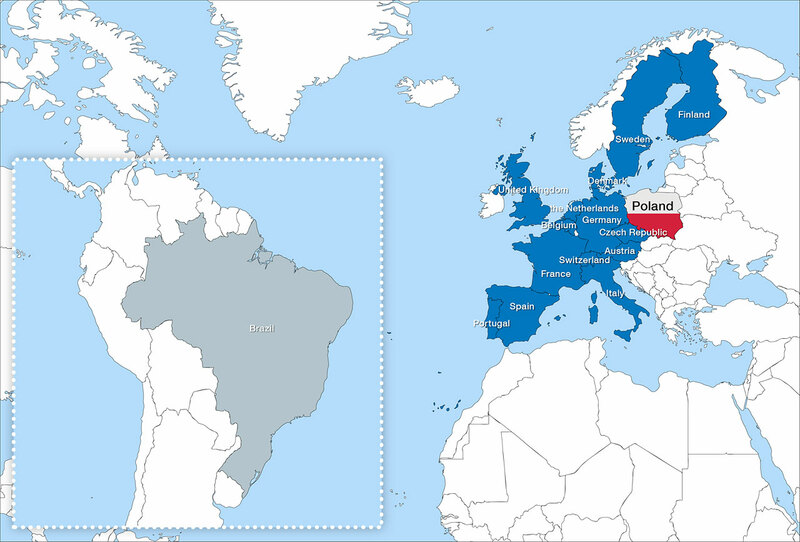 The formal ratification process for Poland’s membership of ESO was completed when the instrument of ratification was deposited at the French Ministry of Foreign Affairs in Paris on 8 July 2015. This follows the approval of the text by the Polish Congress and Senate, the signature of the ESO Accession Agreement by the President of Poland, Bronisław Komorowski, and the counter signature by the Prime Minister, Ewa Kopacz. Lena Kolarska-Bobińska, the Polish Minister of Science and Higher Education, had signed the Accession Agreement in October 2014. The ratification cements Poland’s position at the forefront of the world’s astronomical community. With membership, they have access to ESO’s suite of telescopes and instruments, including the Very Large Telescope (VLT) on Paranal and the Atacama Large Millimeter/submillimeter Array (ALMA) at Chajnantor, as well as the opportunity to contribute to the construction of the European Extremely Large Telescope (E-ELT) over the coming years. By joining ESO, Poland adds to their already rich astronomical history, stretching back to the titanic figure of Nicolaus Copernicus, mathematician and astronomer, most notable for his model of the Solar System with the Sun, not the Earth, at its centre. Poland hosted an ESO Industry Day in Warsaw on 3 July 2015 and Polish astronomers continue to make many important contributions to modern astronomy — a trend Poland’s membership to ESO will only bolster.